When all the doors are unlocked, the tailgate is unlocked. 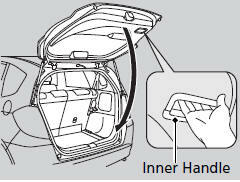 Pull up the tailgate open handle and lift open the tailgate. 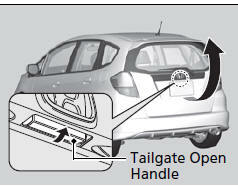 To close the tailgate, grab the inner handle, pull the tailgate down, and push it closed from outside.